( May 2nd, 2016) Japan will hold an outreach meeting during the G7 Ise-Shima Summit, inviting the heads of state and government of non-G7 countries and chairpersons of international organizations, Chief Cabinet Secretary Yoshihide Suga announced on April 8. 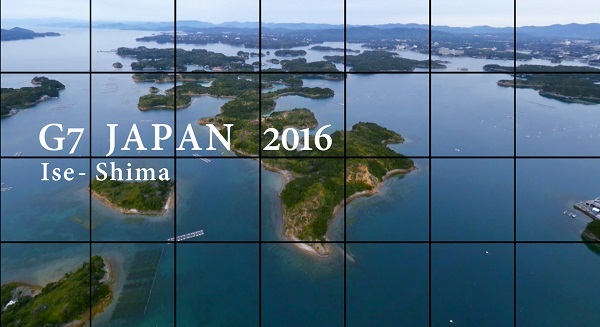 The G7 Ise-Shima Summit will be the first summit held in Asia in eight years. In light of this, this outreach meeting will engage in discussions that explore what is needed to sustain the well-being of Asia, which is steering economic growth as the growth center of the world. From this perspective, the heads of state and government of mainly ASEAN member states, Asian island countries, countries with infrastructure demand and countries dependent on sea lanes will be invited. From Asia, the heads of state and government of Laos, Vietnam, Indonesia, Bangladesh, Sri Lanka, and Papua New Guinea will be invited. In addition, the head of state and government of Chad, the Chairperson of the African Union, will be invited to ensure that the summit’s outcomes connect to the Tokyo International Conference on African Development (TICAD). Furthermore, from international organizations, the chairpersons of the UN, OECD, ADB, IMF and the World Bank will be invited. In addition to the discussions focusing on Asia, this meeting will also feature issues that Japan, which holds the G7 Presidency, attaches particular importance to from a global perspective, including quality infrastructure investment, health and women.